There is a lot of yoga poses but none of them has benefits like Shirshasana. Shirshasana is also a posture which is done by the head. Shirshasana is considered to be the best in yoga. Shirshasana is also known as Lakshmanasan and Kapalasan. 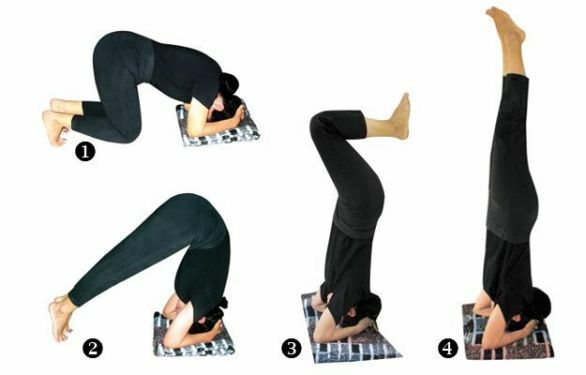 Shirshasana benefits are uncountable, which is why it is considered very useful. But it is also important to know what the shirshasana, what shirshasana benefits are. How the shirshasana is done. What people should not do shirshasana. To know all these things, you have to know what the shirshasana is. Let’s find out what is the shirshasana. Shirshasana is headstand pose, as it is known only by name, is the seat of the head. However, it requires a lot of practice to do the heading, because it is not just about everyone’s job to do this posture. If someone learns to do the headstand pose then that person can fight comfortably with many serious diseases. For this, you should select a flat space. For Shirshasan, you should first sit in Vajrasana. You sit in such a way that you have a lot of room to bend forward. Sit in Vajrasana and keep both of your elbows on the ground and keep both hands together. Combining fingers of both hands, your arms should be upwards so that you can support your arms with your palms. Slowly keep your head on the palms bending forward and keep breathing normally. Then gradually let the body weight on your head. In this situation, you have to take your feet toward the sky. Just like you stand on the feet of straight legs, you are standing on the opposite side of the head. Stay in this posture for a while and then come back in normal position.